Digital Extremes have announced that Warframe has recieved a new feature in the form of an ongoing Radio Broadcast. The Warframe Nightwave broadcast will give players new incentives to find and collect valuable gear and cosmetics in-game. 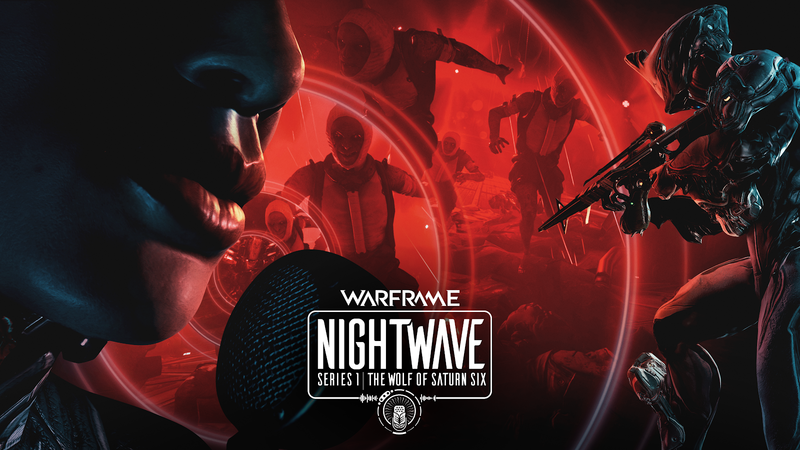 LONDON, ON – February 28, 2019 – Canadian developer and publisher Digital Extremes signals today the beginning of Warframe®’s Nightwave, a new ongoing radio broadcast built on fresh, immediate story-infused gameplay, available today. With Nightwave, players tuning into their Orbiter Scanners can instantly embark on new challenges, collect exclusive rewards, gear, cosmetics and more. And, for the first time in Warframe history, this new content is simultaneously available across all systems — Steam PC, PlayStation®4, Xbox One, and Nintendo Switch™ — for free. In a huge bonus specifically for Nintendo Switch™ players, The Wolf of Saturn Six update will contain even more content! Nintendo Switch players will get the intense boss battle and additional content of Fortuna: The Profit Taker, and we’ll debut TennoGen, the Digital Extremes-approved, community created content players love to own.